I'll admit that this is not the most original choice for a Top 5 List, but it felt right after catching Once Upon a Time in America earlier this week. Robert De Niro's career has included a wide array of performances, but his collaborations with Martin Scorsese can't help but dominate this list. In fact, memorable characters like Max Cady in Cape Fear and Sam Rothstein in Casino didn't even make the cut. This could easily be a top 10 list, but that would make it too easy. It's also interesting that none of my choices (including the honorable mentions) are newer than the mid-'90s. 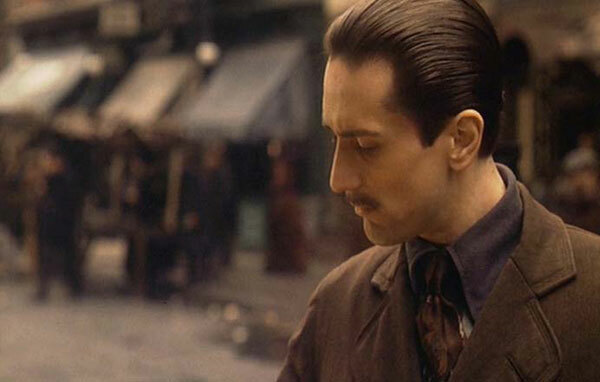 De Niro's recent work has been solid, but it lacks the stunning performances that were common during his younger days. I'll add the caveat that I haven't seen The Deer Hunter or The King of Comedy, which might be contenders for this list. Let's get to my picks! Quentin Tarantino's 1997 adaptation of the Elmore Leonard novel Rum Punch is subtle, an adjective that usually doesn't apply to the often-manic director. De Niro's supporting role as Louis Gara is so underplayed that it's easy miss his clever work. He spends much of the movie smoking pot with Bridget Fonda while remaining on the story's edge. During the third act, however, Gara plays a major role and goes out in stunning fashion. De Niro has nice chemistry with Samuel L. Jackson and allows his louder character to dominate their scenes. His solid presence helps to make Jackie Brown my favorite Tarantino film. 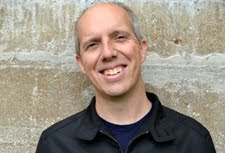 On the Filmspotting podcast, they place movies that tend to appear on many lists into the Pantheon, exempting them from future use. If I used a similar device, Heat would definitely end up in this group. While De Niro's role as Neil McCauley isn't his flashiest performance, he makes the professional criminal utterly believable. Although he's a thief and will kill anyone who gets in his way, our sympathies generally fall with him over Al Pacino's homicide detective. 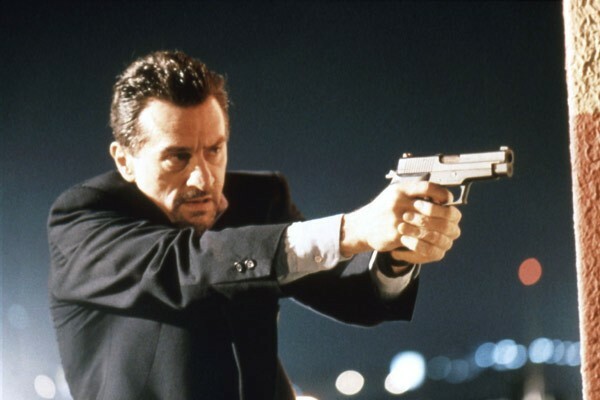 The main reason for our connection to Neil is De Niro's strong performance, which fits perfectly in Director Michael Mann's gripping L.A. environment. I expect that many would place this 1976 performance at the top of this list, and I can't really argue with that choice. De Niro makes Bickle's unstable Vietnam veteran intriguing, but I wasn't as drawn into the story as with the upcoming picks. There are several classic moments that have crossed into the pop-culture mainstream, and Scorsese's cynical take on the urban setting is rarely matched. De Niro's off-putting performance is the standout from an intriguing, yet flawed look at a depressing modern landscape. Although he plays a supporting role to Ray Liotta's Henry Hill, De Niro makes Jimmy Conway a central part of the story. One of the movie's best scenes shows De Niro delivering a cheery, yet creepy smile as he looks upon the irritating Morrie (Chuck Low). While Cream's "Sunshine of Your Love" plays in the background, we see Conway clearly decide to kill Morrie while the smile remains. 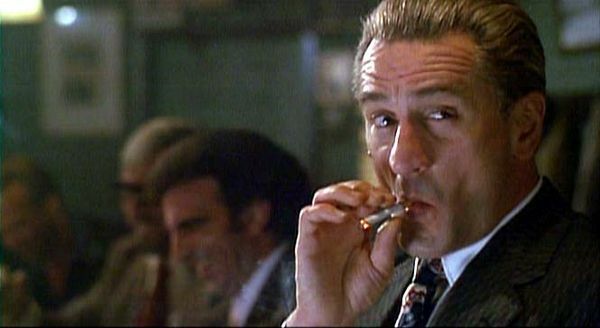 Although Joe Pesci gets the flashier supporting performance, it's De Niro's surprising role that sticks with you long after the credits have rolled. Filling Marlon Brando's shoes is no easy task, especially when you're portraying a classic movie character like Vito Corleone from the first Godfather film. Watching De Niro as the young Vito is a revelation, especially because it differs so much from his more over-the-top performances. We quickly stop comparing him to Brando and truly believe that this ambitious guy could grow up to become the adult Vito. 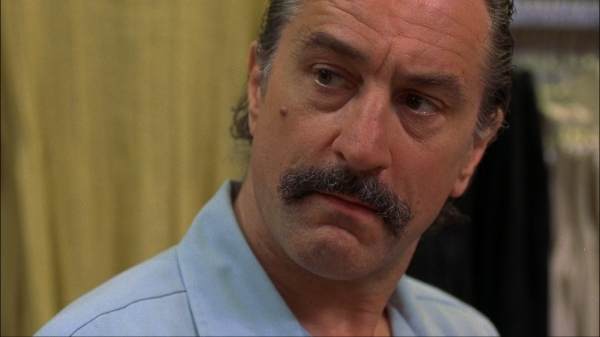 De Niro dials back the intensity and gives one of his most nuanced portrayals in this tricky role. I know this is sacrilege to admit, but I'm not a huge fan of Raging Bull. It's a striking achievement and showcases Scorsese's directing talents, but the story didn't grab me completely. That said, De Niro's work as Jake LaMotta is remarkable and deserves a spot at the top of this list. He completely sells the dark, brutal elements of the boxer's personality, especially as he goes downhill near the end. 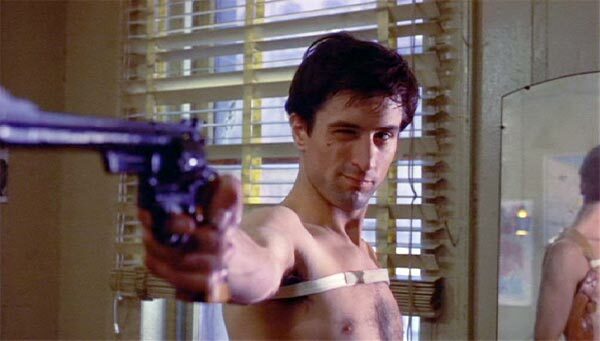 It shows once again why De Niro's intensity matches perfectly with Scorsese's in-your-face style. This performance goes well beyond the weight gain and exemplifies why De Niro remains such a renowned actor. Next week, I'll join some talented break dancers as they try to make it big in Breakin'. I haven't seen too many De Niro movies but out of the ones I've seen I guess I'd say his roles in Heat, Falling in Love, and The Untouchables would make my top 3. He's definitely memorable in Cape Fear, such a terrifying character! Ruth, you're right about The Untouchables and his excellent role as Capone. There were just too many good choices for this one, and both that and Cape Fear fell just outside the list. Thanks! Thanks Nostra! I'm still waiting for the next great De Niro performance, but I'm not sure it's going to happen. We'll see. Nice list. What a coincidence, I reviewed Taxi Driver this week! I think the weakness of his more recent performances are due to the scripts he's taken on being weak too, although I happen to think he's funny in the first Meet the parents film. Castor, I agree that De Niro still ranks among the best given all the great performances during his heyday. I just wish he still mixed in some better roles now. moviesandsongs365, I definitely want to check out The King of Comedy. At some point, I'm going to do a marathon that fills in the early Scorsese movies that I've missed. De Niro was funny in the first Meet the Parents and Analyze This, but he's mixing those with much worse stuff. 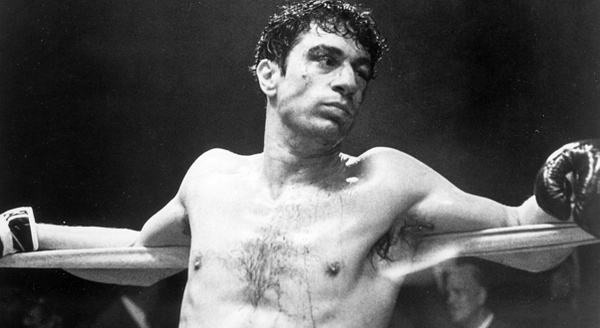 As much as I like his work in Heat and Goodfellas I definitely think that in Raging Bull De Niro gives a career best performance. Apart from the boxing training and weight gain he went through, in the two pay-phone scenes I think he perfectly captures the essence of the character: the first in 1950 when he rings his brother but cannot speak and the second in 1957 outside a Miami pawnshop with his shirt unable to conceal his gone to hell gut. Before I check out some of your other top 5's I'd also give an honourable mention to DeNiro's Johnny The Boy in Mean Streets, I always enjoy watching him in that one. Paul, you're right that both of those Raging Bull scenes are classic and show great work from De Niro. I thought about Johnny in Mean Streets, but I just didn't feel like it was as strong as some of the other Scorsese films. He's effective as the crazy kid, but it's just below the top tier for me. Thanks!